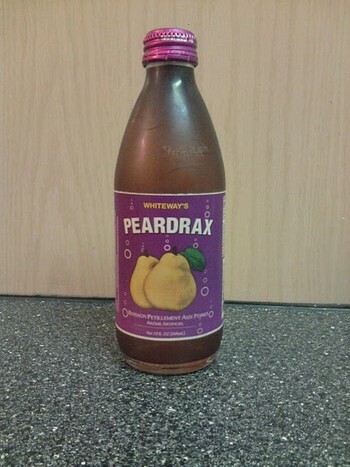 When you look at, and smell Peardrax, you think things like "bad white wine" or "nail polish remover." Thankfully it doesn't taste like either of those, however it isn't that great. If anything the feeling that it could be either of those horrible things, or worse, makes it end up tasting better once you have it. It's sweet, but with a dull pear flavor that doesn't do much to make it worthwhile. Even it's nice champagne style bubbles along with their use of sugar and fruit juices can't save this one from mediocrity. Not horrible, but only worth it for the completionist.